It’s October, which means Holiday time is about to get rockin’! Pumpkin picking, pumpkin pies, hayrides, hot chocolate, snuggly sweaters, mittens, big family dinners, warm fireplaces, and lots of snuggling. It’s no surprise that holiday time is the most wonderful time of the year. To celebrate the upcoming holiday season, we invite you to submit your family photos for a chance to be featured in sample card designs for our 2011 Holiday Photo Card collection. Several photos will be selected, and if yours is chosen, you’ll receive a 20% discount for your photo card order. 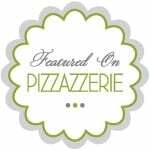 To make this contest even sweeter, our celebrity guest judge Courtney Dial (of Pizzazzerie & The Bakery Spot) will be choosing one photo to win a $50 Gift Certificate good toward your holiday photo card order. “Like” us on facebook, if you haven’t already. Post your photo on our wall, along with a fun title for your photo. Be sure to select “public” in the dropdown menu. Submission ends on October 24. We’ll announce winners on our blog and facebook page by November 1, and will contact winners via facebook. You may submit as many photos as you’d like; however prizes are limited to one per household. Submitted photos must be of your own family. If submitting a photo taken by a professional photographer, you must have permission from your photographer to post (and for us to use) photo. Winning photographers will be featured on the Little Sprout website. Facebook “likes” will contribute to (but will not be the sole factor) in the determination of winning photos. 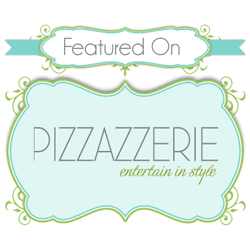 Courtney is the party stylist, founder & editor of Pizzazzerie and The Bakery Spot. Growing up in the South, she attended Vanderbilt University earning both a bachelors in Communications and masters in Organizational Leadership. Her first book with Gibbs Smith Publishers is set to hit shelves Spring 2012! Courtney’s expertise has been seen in HGTV.com, Pawsh Magazine, Nashville Lifestyles Magazine, Ladies Home Journal, AOL’s DIY Life, Get Married Magazine, MarthaStewart.com, and more! She works with brands such as Orville Redenbacher, Sterling Wines, and more to connect consumers with their products in an entertaining setting. In addition to designing everything from children’s birthday celebrations to chic dinner parties, she is also a writer for several online food and lifestyle publications including The Huffington Post, SHE KNOWS, Hostess With the Mostess, and Tablespoon.